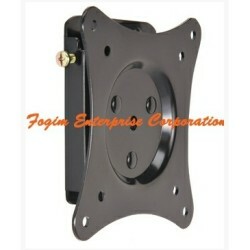 Screen Mount LCD Wall Mount offers a simple and basic mounting solution. It suits for the users who don’t need multiple adjustable functions but would like to save space by mounting the display on the wall. The lockable device could prevent from theft.